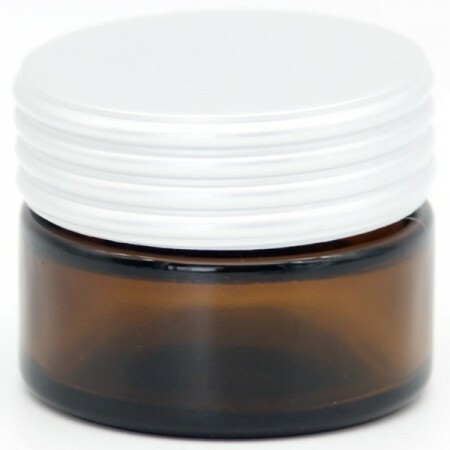 This reusable glass jar is perfect for storing your own homemade refillable creams, lip balms and natural beauty products. 15ml. 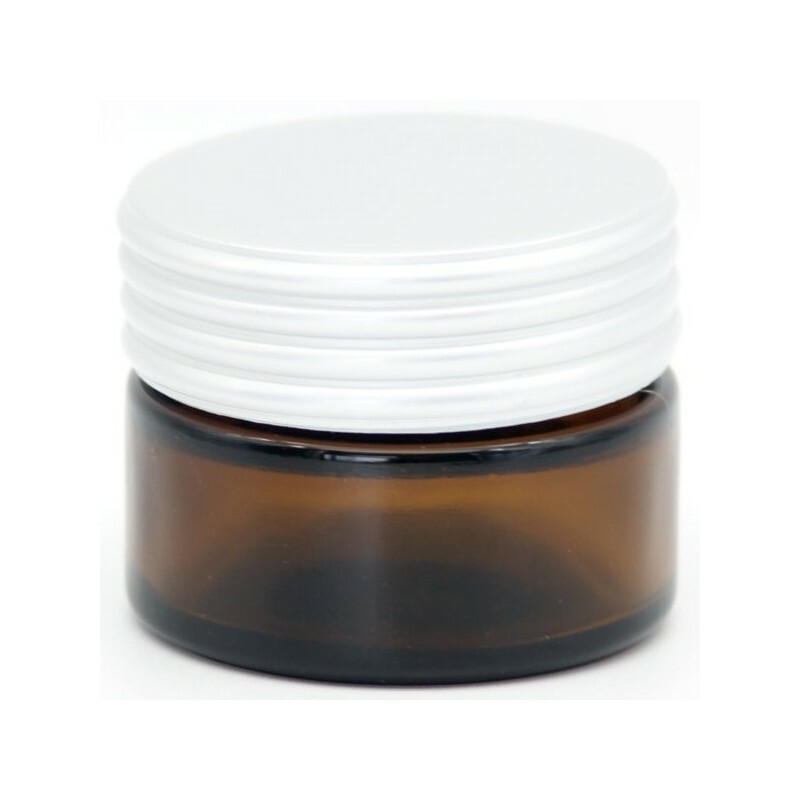 A 15ml glass canister with a freshness seal and a screw-on lid. Fill with your homemade lip balm or sample-sized beauty creams, moisturiser, body/face wax, natural sunscreen or zinc, natural deodorant, cream perfume, etc. Also a convenient way to transport a smaller amount of product from large moisturiser bottles etc. when travelling. 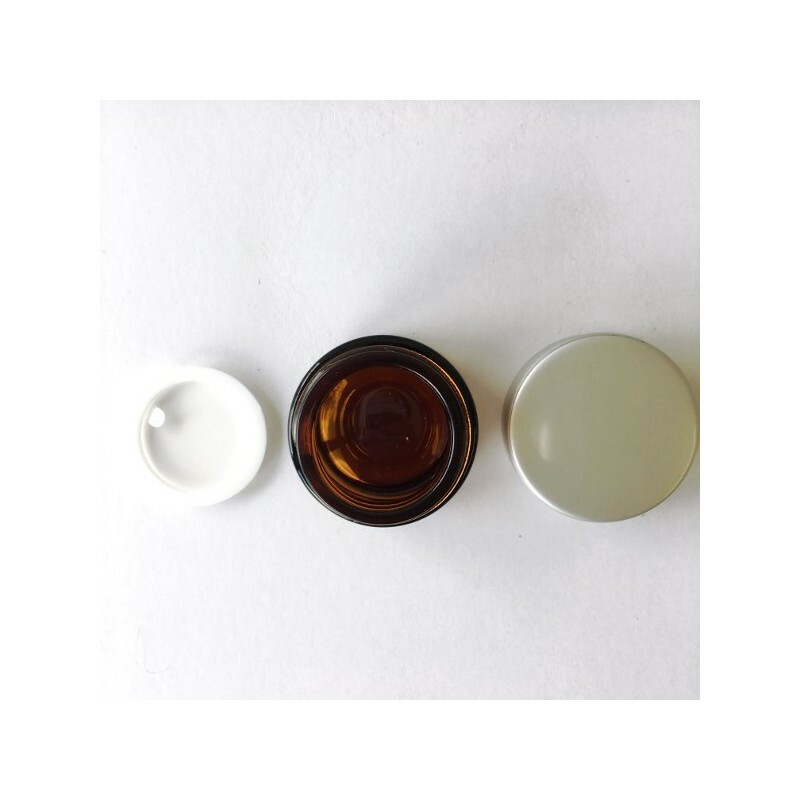 Amber glass with silver lid and tab seal. 3cm height x 4cm diameter. Great sized jar, especially for travelling, but I find I use the clear one more because it is see through. I love the compact size and amber colour of this jar. I use it to store coconut oil which i use for a cleanser/ toner and face moisturiser. It's also a great size for taking on holidays. Great little jar good for diy products. Good quality.